Game company Capcom has had a bit on their shoulders with the upcoming Capcom Cup 2018 happening in December. But that doesn’t mean they aren’t allowed to enjoy themselves with a few new cosmetics and looks for their hit title Street Fighter V: Arcade Edition. 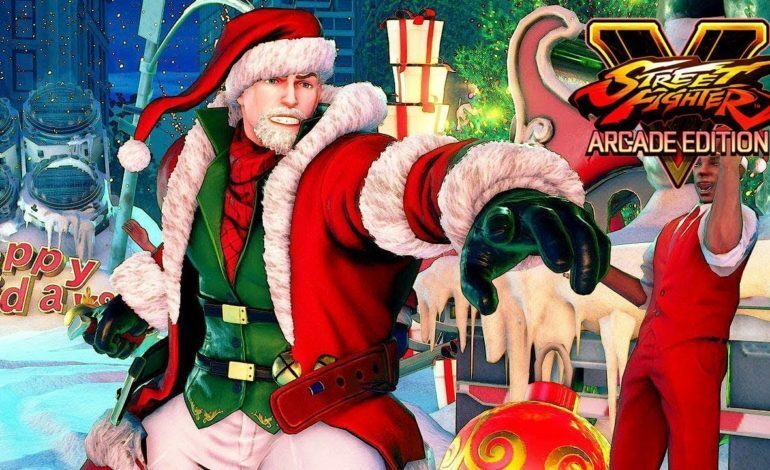 And over on their official Street Fighter twitter account, they’ve been having a couple of days of new skins, both in time for the wintery holiday season, as well as the 2018 tournament. Cody on the streets is frightful, but Sakura is delightful. Since Falke has learned to let go, Blanka glows, Blanka glows, Blanka glows! The little video shows off their introduction walk-ins in the festive cosmetics as well as how the cosmetics look when they’re fighting. Falke has the extra step of having a candy cane as her new weapon instead of the traditional one she has in her regular skin. Each new cosmetic comes with it own fun little twist on the holidays, and it gets players into the spirit. The second tweet revealed some new cosmetics that are a little less festive, but perhaps a bit more cross-over. Resident Evil meets Street Fighter is finally something that’s happening within the Capcom universe. These aren’t the actual Resident Evil characters taking the place of Cammy, Urien, and Kolin, but rather they just happened to steal Jill Valentine’s, Wesker’s, and Ada Wong’s clothes. All holiday and the Resident Evil cosmetics will be available November 27 for Street Fight V: Arcade Edition.